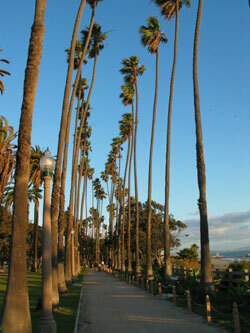 Palisades Park is located on the west side of Ocean Avenue, between San Vicente Blvd and the Santa Monica Pier. To get there from Third Street Promenade, just walk three blocks toward the ocean. Santa Monica Pier Aquarium - Though this small structure by no means rivals the great aquariums of the world, it does offer lots of interactive exhibits and hands-on demonstrations that visitors of all ages can enjoy. Special events include craft time and story hour for the little ones.